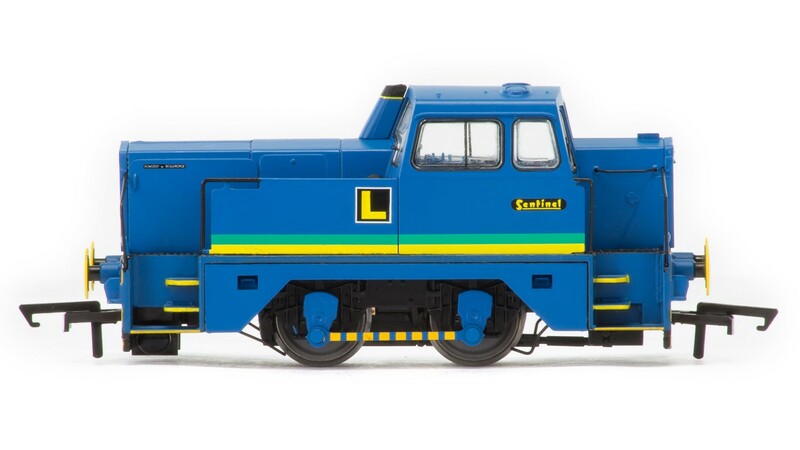 Hornby Esso Bitumen Plymouth 4wDM Sentinel Industrial Shunter. Sentinel commenced business in 1906 and produced wagons and steam locomotives. Their first diesel shunters were introduced in 1963 and were powered by Rolls-Royce engines. Designed for industrial use many of these shunters can be seen on heritage railways. 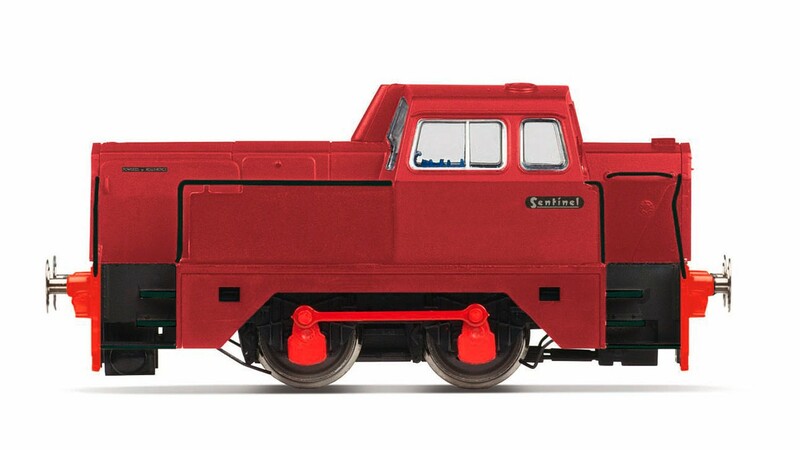 Hornby Sentinel. New Tooling: Esso livery. Weathered. 0-4-0 wheel configuration. Detail interior and exterior. Supplied DCC Ready. Scale speed. �Design clever� format. 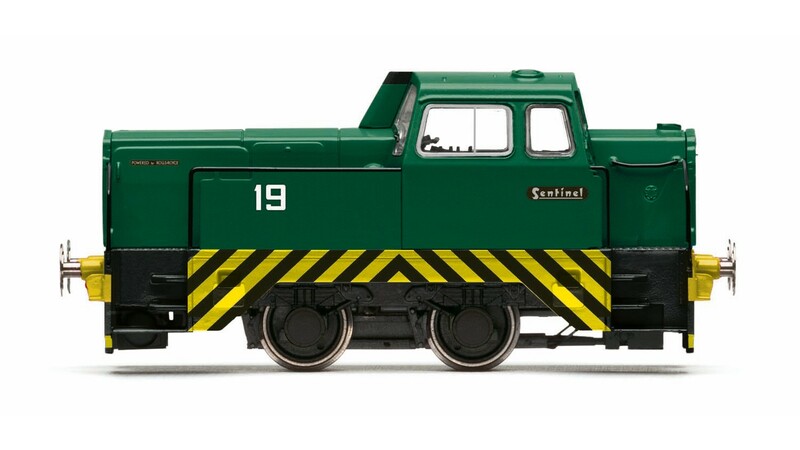 Hornby 'Crossley and Evans' 0-4-0 Sentinel Industrial Shunter. Sentinel commenced business in 1906 and produced wagons and steam locomotives. Their first diesel shunters were introduced in 1963 and were powered by Rolls-Royce engines. Designed for industrial use many of these shunters can be seen on heritage railways. Hornby Sentinel. New Tooling: Crossley and Evans livery. 0-4-0 wheel configuration. Detail interior and exterior. Supplied DCC Ready. Scale speed. �Design clever� format. Hornby Sentinel 4wDH '19'. Gauge: 00, Gauge: 00, Length: 98mm, DCC Type: DCC Ready, Motor: 5 Pole Skew Wound. Hornby Sentinel. Hornby 0-4-0 'Graham' Sentinel Industrial Shunter. Gauge: 00, Gauge: 00, Length: 98mm, DCC Type: DCC Ready, Motor: 5 Pole Skew Wound. Hornby Sentinel. Hornby BR, Bagnall 0-4-0DH, D9706 - Era 6. Technical Specification & Detail: Length: 110mm, Period: Era 6 (1957 - 1971), Operator/Livery: BR (Green), Designer: W.G Bagnall, Entered Service: 1960, Minimum Curve: R1, Motor: RM, Wheel Configuration: 0-4-0DH. Hornby War Department, R&H 48DS, 0-4-0, 'Army 802' - Era 4/5. R&H No. 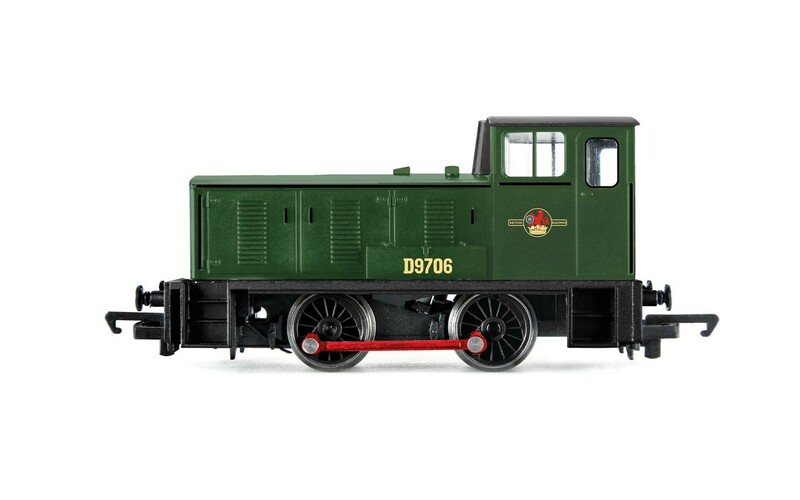 221645 left Boultham Works on 14 January, 1944 and was sent to the Ministry of Supply for Cwmavon Ordnance Depot in West Glamorgan. Between January 1952 and February 1959, Army 802 (as it became numbered) served at the Technical Stores sub-depot at Weedon in Northamptonshire, before being moved to storage at Long Marston. The locomotive was scrapped in January 1980. 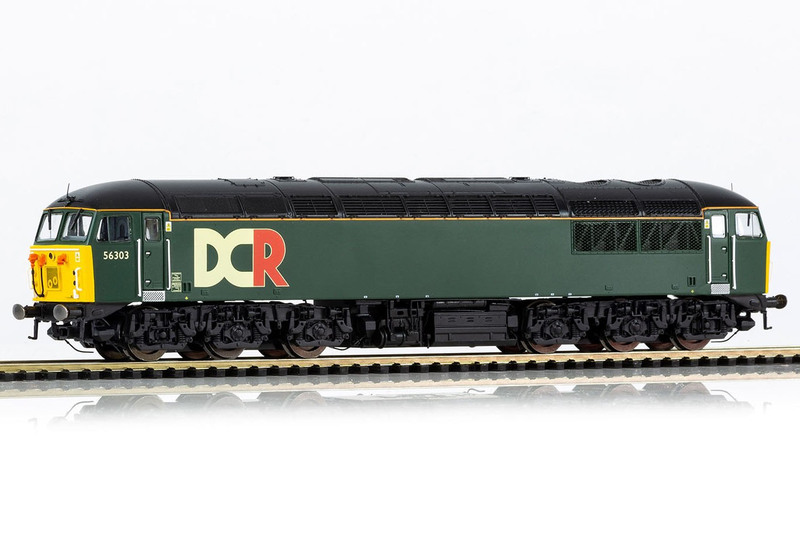 Technical Specification & Detail: - Length: 55mm, DCC Type: DCC Ready, Period: Era 4/5, Operator/Livery: War Department, WD Green, Class: 48DS, Designer: Ruston & Hornsby, Entered Service: 1944, Minimum Curve: R1, Motor: 3 Pole Skew Wound, Wheel Configuration: 0-4-0. 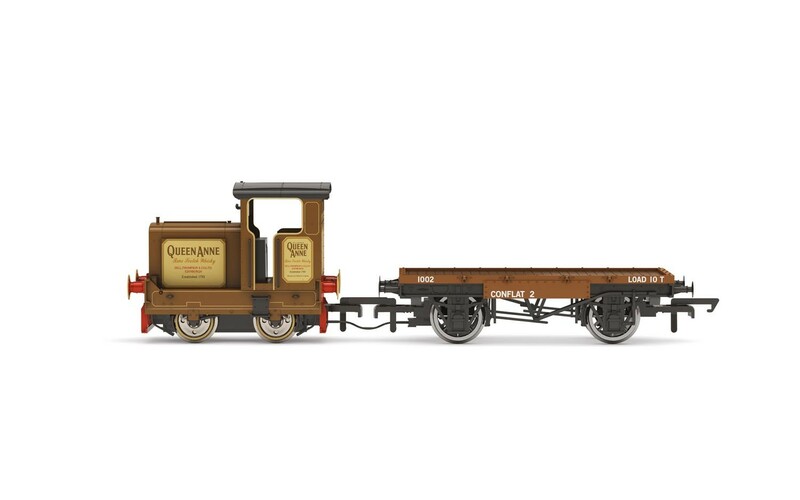 Hornby Longmorn Distillery, R&H 48DS, 0-4-0, 'Queen Anne' - Era 7. R&H No. 265618 left Boultham Works on 11 October, 1948 and was purchased by the Longmorn- Glenlivet Distillery to connect with the Benriach-Glenlivet Distillery, using sections of the Glenlossie line, the last distillery railway operating in the Highlands. Longmorn closed in late 1979 and 265618, (then repainted to advertise Queen Anne whisky), was donated to the Strathspey Railway at Boat of Garten, along with the track and distillery wagons. Technical Specification & Detail: - Length: 55mm, DCC Type: DCC Ready, Period: Era 7 (1971 - 1986), Operator/Livery: Longmorn Distillery, Line Brown, Class: 48DS, Designer: Ruston & Hornsby, Minimum Curve: R1, Motor: 3 Pole Skew Wound, Wheel Configuration: 0-4-0. Hornby First Great Western 0-6-0 Class 08. DCC Type: DCC Ready, Livery: FGW, Designer: British Railways, Entered Service: 1953, Wheel Configuration: 0-6-0. Built at the Derby Works and outshopped on the 9 September 1960, Class 08 822 was originally numbered D3990 but changed to its current number on the 31 December 1973. 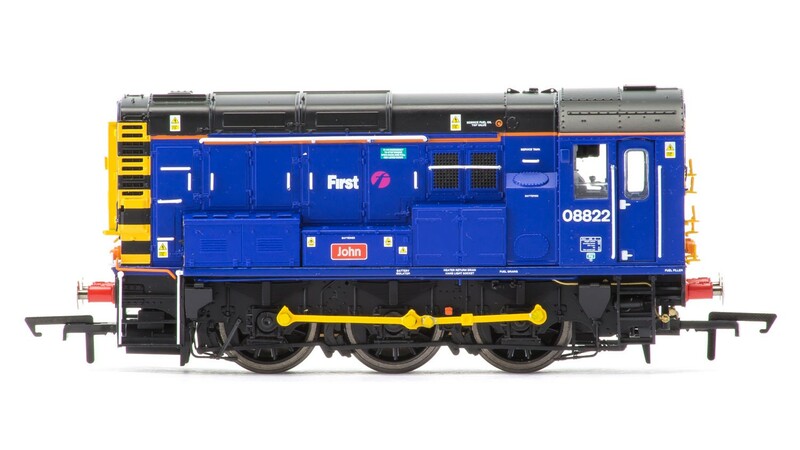 The locomotive is currently based at St. Philips Marsh T&RSMD, Bristol and is one of nine that are operated by First Great Western. Hornby BR Green 0-6-0 '13363' Class 08. DCC Type: DCC Ready, Livery: BR Green (with red conrods), Designer: British Railways, Entered Service: 1953, Wheel Configuration: 0-6-0. Hornby BR Blue 0-6-0 'Laira Diesel Depot' Class 08. DCC Type: DCC Ready, Livery: BR Blue (with yellow conrods), Designer: British Railways, Entered Service: 1953, Wheel Configuration: 0-6-0. Hornby Network Rail, Class 31, A1A-A1A, 31602 'Driver Dave Green' - Era 9. 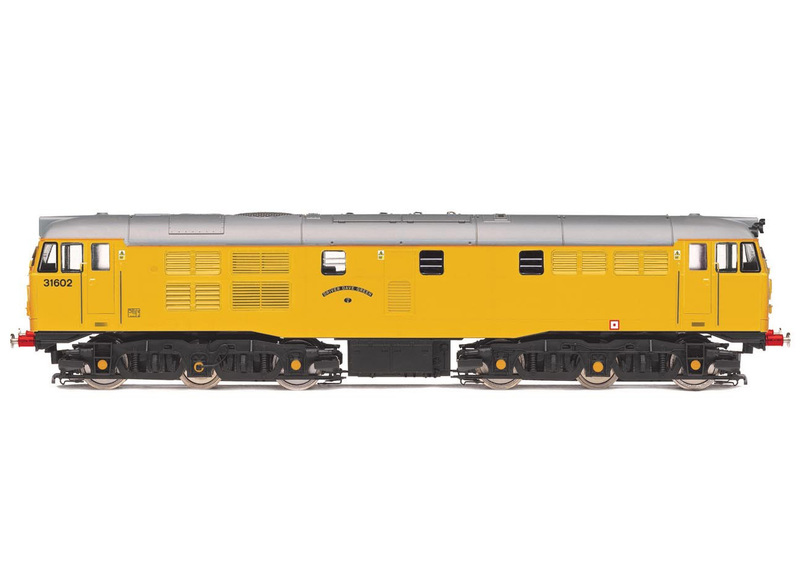 Technical Specification & Detail: - Length: 225mm, DCC Type: DCC Ready, Period: Era 9 (1996 - 2018), Operator/Livery: Network Rail, Yellow, Class: Class 31, Designer: Brush Traction, Entered Service: 1960, Minimum Curve: R2, Motor: 5 Pole Skew Wound, Wheel Configuration: A1A-A1A. Hornby BR, Class 31, A1A-A1A, 31102 - Era 7. 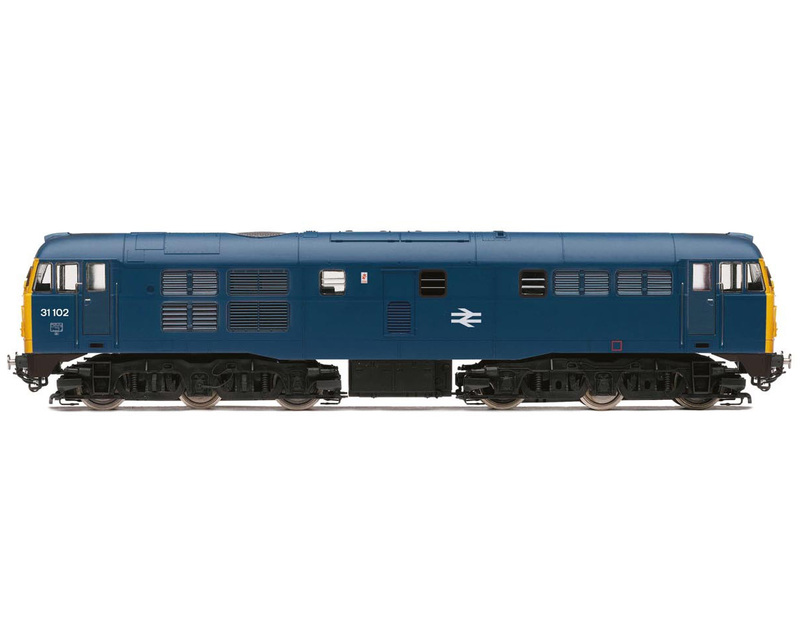 Technical Specification & Detail: Length: 225mm, DCC Type: DCC Ready, Period: Era 7/8, Operator/Livery: BR Blue, Class: Class 31, Designer: Brush Traction, Entered Service: 1960, Minimum Curve: R2, Motor: 5 Pole Skew Wound, Wheel Configuration: A1A-A1A. 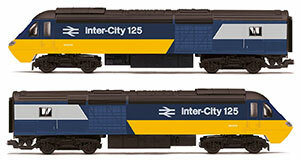 Hornby BR InterCity, Class 43 HST Pack, Power Cars W43001 and W43002 - Era 7. 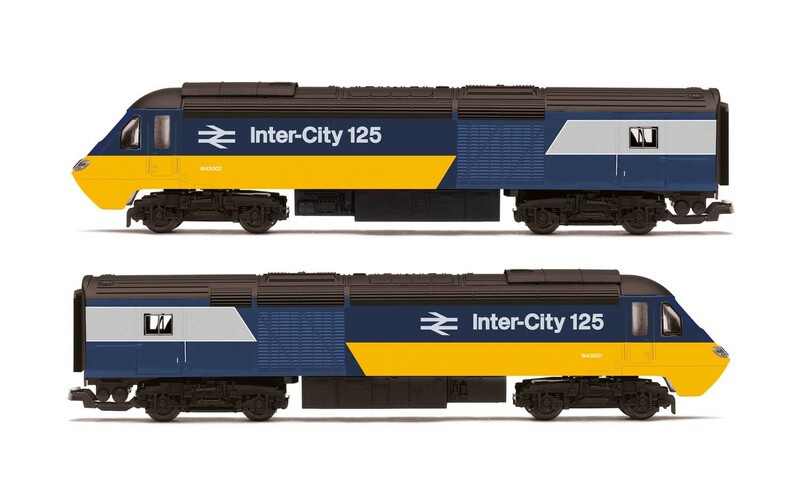 Technical Specification & Detail: - Length: 2 x 235mm, DCC Type: DCC Ready, Period: Era 7 (1971 - 1986), Operator/Livery: BR InterCity, Blue/Grey/Yellow, Class: Class 43 HST Pack, Designer: Sir Kenneth Grange, Entered Service: 1978, Minimum Curve: R2, Motor: 5 Pole Skew Wound, Wheel Configuration: Bo-Bo. Hornby GWR, Class 43 HST, Power Cars 43093 'Old Oak Common - HST Depot 1976-2018' and 43016 - Era 11. 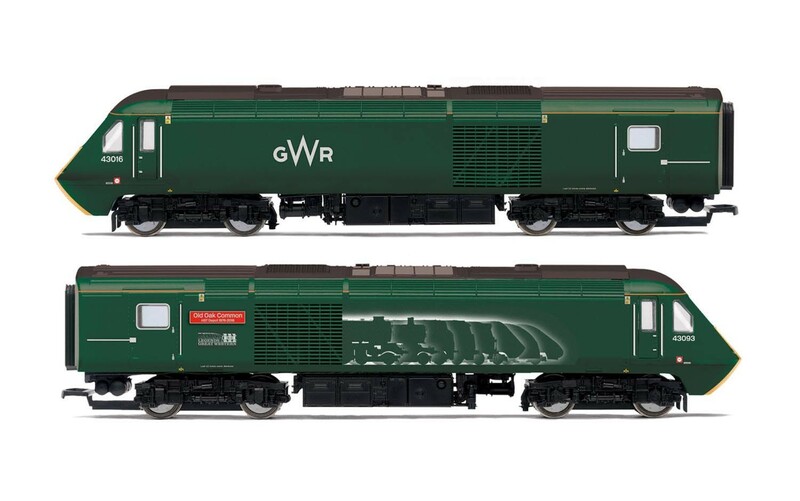 Technical Specification & Detail: - Length: 2 x 235mm, DCC Type: DCC Ready, Period: Era 11 (2014 +), Operator/Livery: GWR Green, Designer: Sir Kenneth Grange, Entered Service: 1976/78, Minimum Curve: R2, Motor: 5 Pole Skew Wound, Wheel Configuration: Bo-Bo. 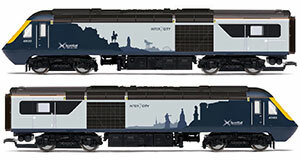 Hornby ScotRail, Class 43 HST, Power Cars 43033 and 43183 - Era 11. 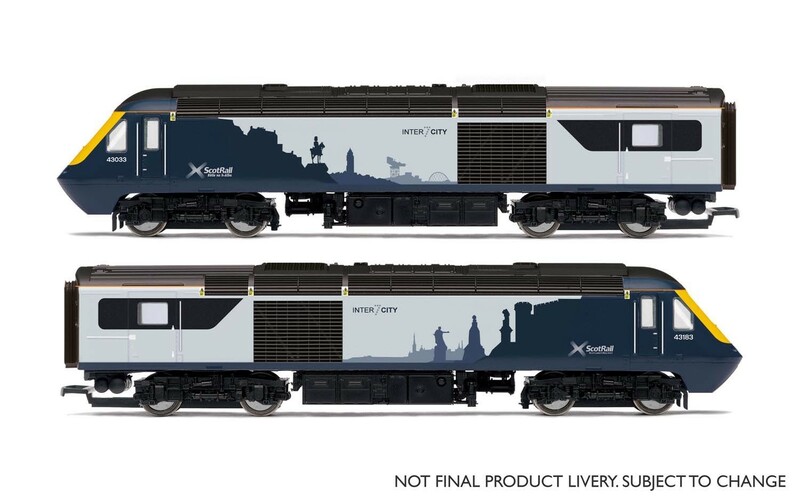 Technical Specification & Detail: - Length: 2 x 235mm, DCC Type: DCC Ready, Period: Era 11 (2014 +), Operator/Livery: ScotRail, Inter7City Blue, Designer: Sir Kenneth Grange, Entered Service: 1978, Minimum Curve: R2, Motor: 5 Pole Skew Wound, Wheel Configuration: Bo-Bo. 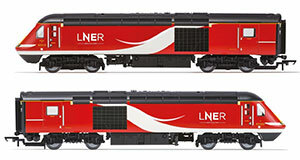 Hornby LNER, Class 43 HST, Power Cars 43315 and 43309 - Era 11. 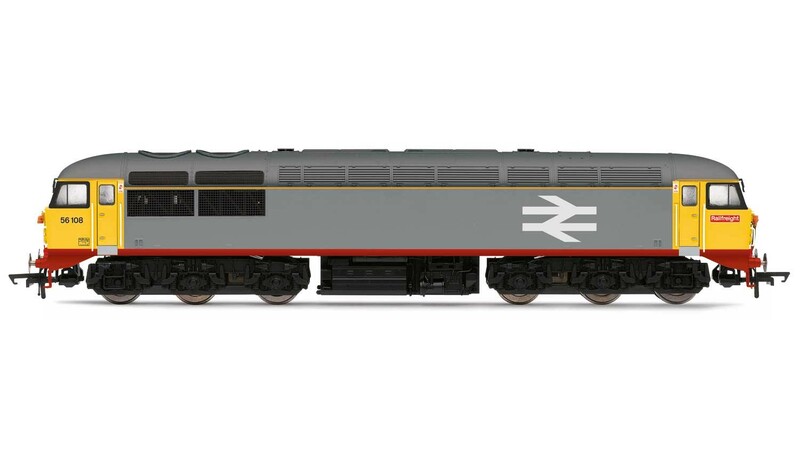 Technical Specification & Detail: - Length: 2 x 235mm, DCC Type: DCC Ready, Period: Era 11 (2014 +), Operator/Livery: LNER Red/Grey, Designer: Sir Kenneth Grange, Entered Service: 1978, Minimum Curve: R2, Motor: 5 Pole Skew Wound, Wheel Configuration: Bo-Bo. 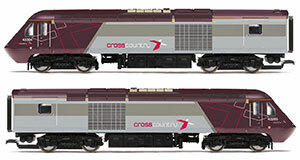 Hornby Cross Country, Class 43 HST, Power Cars 43285 and 43304 - Era 10. 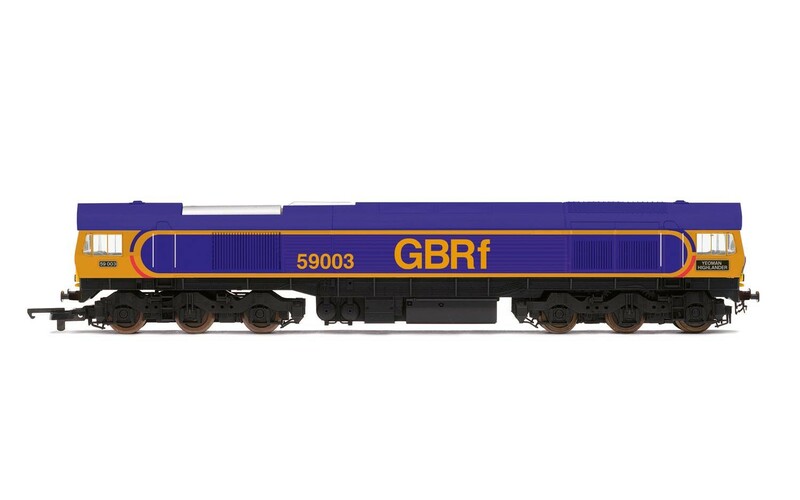 Technical Specification & Detail: - Length: 2 x 235mm, DCC Type: DCC Ready, Period: Era 10 (2006 - 2017), Operator/Livery: Cross Country, Purple/Grey, Designer: Sir Kenneth Grange, Entered Service: 1978, Minimum Curve: R2, Motor: 5 Pole Skew Wound, Wheel Configuration: Bo-Bo. Hornby EWS, Class 47/7, Co-Co, 47798 'Prince William' - Era 9. Technical Specification & Detail: - Length: 251mm, DCC Type: DCC Ready, Period: Era 9 (1996 - 2018), Operator/Livery: EWS Maroon, Class: Class 47/7, Designer: Brush Traction, Entered Service: 1965, Minimum Curve: R2, Motor: 5 Pole Skew Wound, Wheel Configuration: Co-Co.
Hornby EWS, Class 47/7, Co-Co, 47799 'Prince Henry' - Era 9. 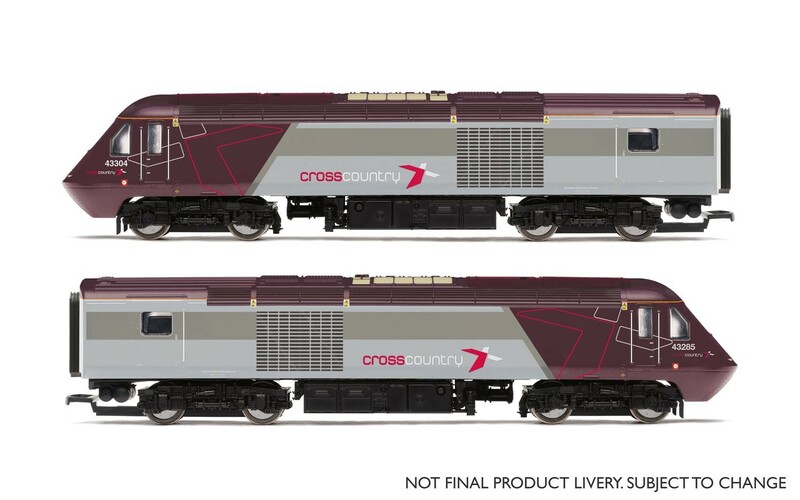 Technical Specification & Detail: - Length: 251mm, DCC Type: DCC Ready, Period: Era 9 (1996 - 2018), Operator/Livery: EWS Maroon, Class: Class 47/7, Designer: Brush Traction, Entered Service: 1965, Minimum Curve: R2, Motor: 5 Pole Skew Wound, Wheel Configuration: Co-Co.
Hornby Network South East NSE Co-Co Diesel Electric 'Indomitable' '50026' Class 50. 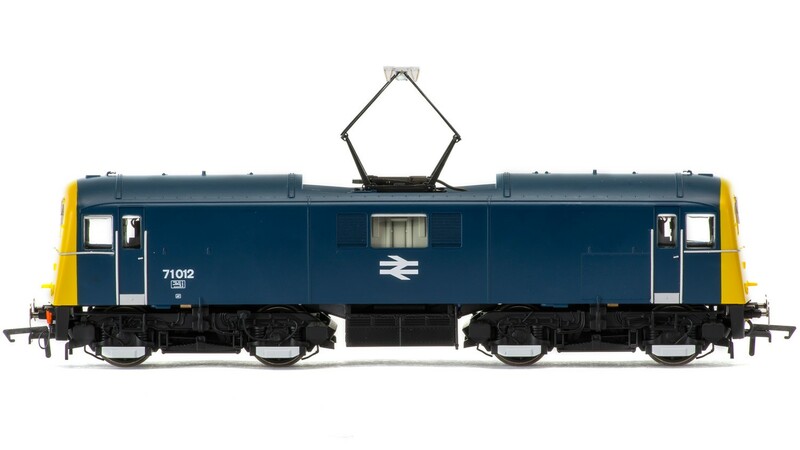 Class: 50, Designer: English Electric, Entered Service: 1967, Number Built: 50, Purpose: Mixed Traffic, Wheel Configuration: Co-Co, Dimensions: 275mm, Motor: 5 Pole Skew Wound, DCC Ready: DCC Ready, Livery: NSE, Detail: Opening Cab Doors and Non Powered Turning Fan, Finish: Pristine. 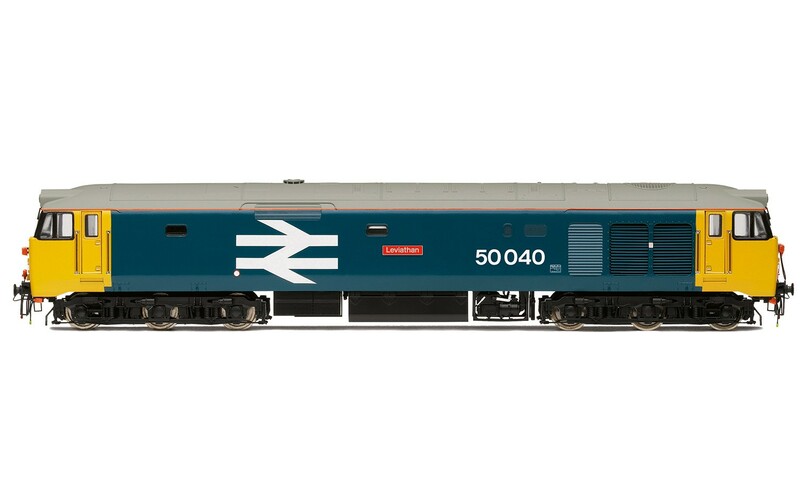 Hornby BR Class 50 'D400' - Special Edition. Gauge: 00, Class: 50, Designer: English Electric, Entered Service: 1967, Number Built: 50, Purpose: Mixed Traffic, Wheel Configuration: Co-Co, Length: 275mm, DCC Type: DCC Ready, Motor: 5 Pole Skew Wound. Minimum Curve: Hornby 2nd radius + / 438mm+. Hornby BR, Class 50, Co-Co, 50040 'Leviathan' - Era 7. Gauge 00, Length 275mm, DCC Type DCC Ready, Period Era 7 (1971 - 1986), Operator/Livery BR, Rail Blue Large Logo, Designer British Railways, Minimum Curve 2nd Radius + (438mm), Age Suitability 14+, Motor 5 Pole Skew Wound, Wheel Configuration Co-Co.
Hornby Network South East, Class 50, Co-Co, 50033 'Glorious' - Era 8. 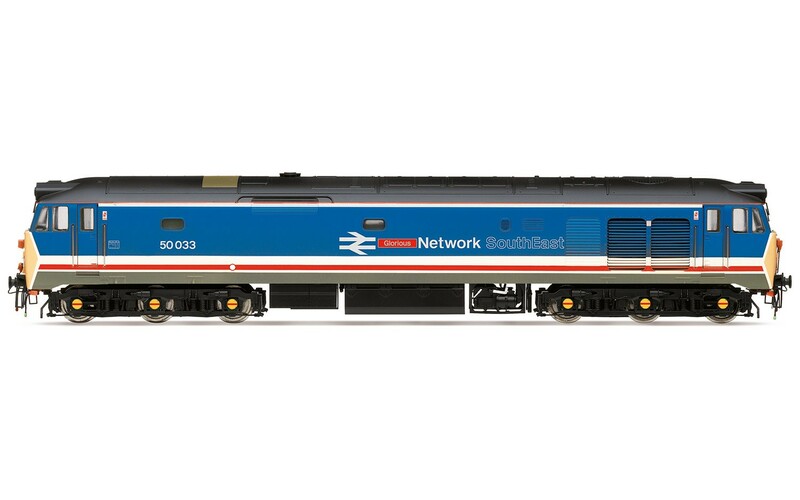 Gauge 00, Length 275mm, DCC Type DCC Ready, Period Era 8 (1982 - 1997), Operator/Livery BR Network South East, NSE Blue, White & Red, Designer British Railways, Minimum Curve 2nd Radius + (438mm), Age Suitability 14+, Motor 5 Pole Skew Wound, Wheel Configuration Co-Co.
Hornby Yeoman Aggregates, Class 59, Co-Co, 59004 �Paul A. Hammond� - Era 8. 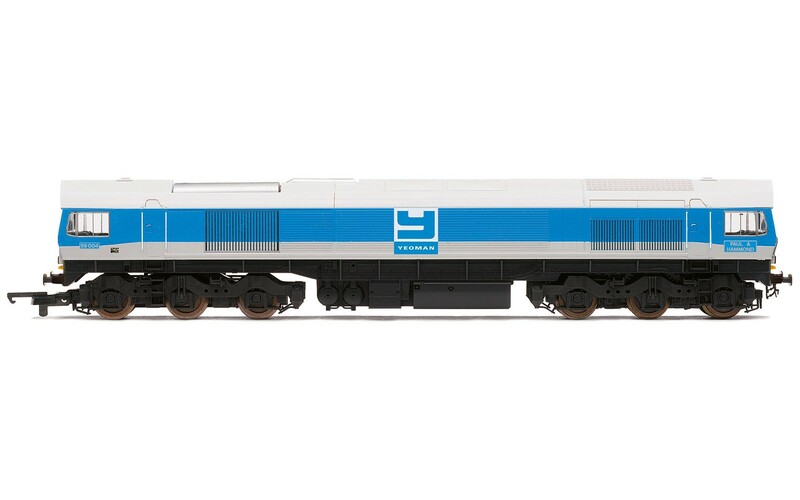 Gauge 00,Length 280mm, DCC Type DCC Ready, Period Era 8 (1982 - 1997), Operator/Livery Yeoman Aggregates, Class 59, Designer Electro-Motive Diesel, Entered Service 1985, Minimum Curve 2nd Radius + (438mm), Age Suitability 3+. 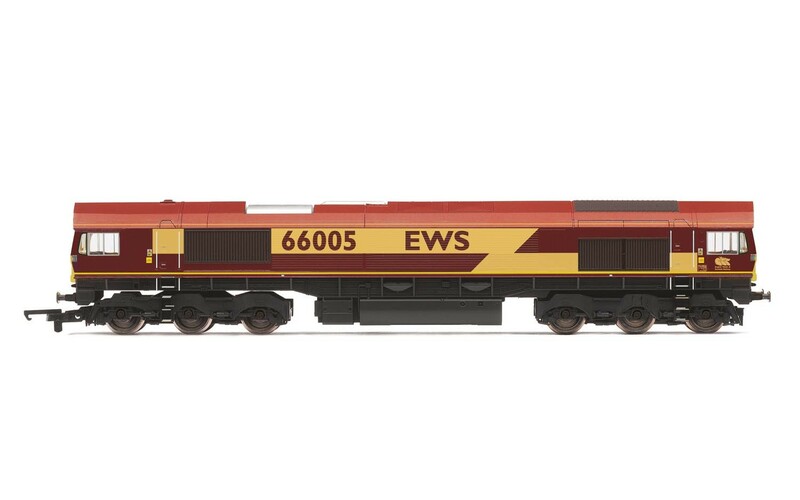 Hornby Loadhaul, Class 60, Co-Co, 60070 'John Loundon McAdam' - Era 9. 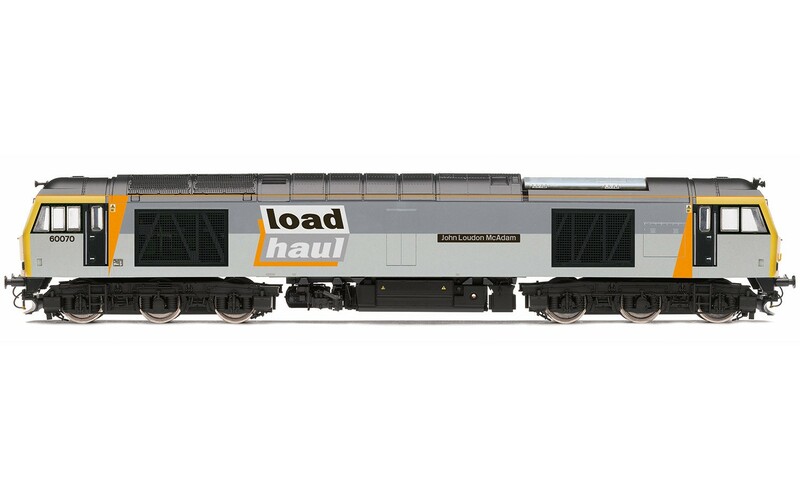 Gauge 00, Length 280mm, DCC Type DCC Ready, Operator/Livery Loadhaul, Loadhaul over Railfreight Triple Grey, Designer British Railways, Entered Service 1991, Minimum Curve 2nd Radius + (438mm), Age Suitability 14+, Motor 5 Pole Skew Wound, Wheel Configuration Co-Co.
Hornby DB Schenker, Class 60, Co-Co, 60044 'Dowlow' - Era 10. 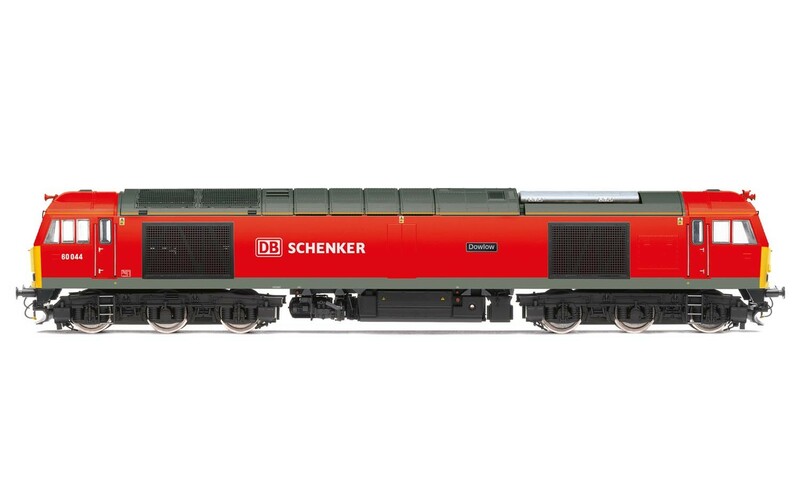 Technical Specification & Detail: - Length: 280mm, DCC Type: DCC Fitted, Period: Era 10 (2006 - 2017), Operator/Livery: DB Schenker, Red, Class: Class 60, Designer: British Railways, Entered Service: 1991, Minimum Curve: R2, Motor: 5 Pole Skew Wound, Wheel Configuration: Co-Co.
Hornby BR Railfreight, Class 60, Co-Co, 60015 'Bow Fell' - Era 8. Technical Specification & Detail: - Length: 280mm, DCC Type: DCC Ready, Period: Era 8 (1982 - 1997), Operator/Livery: BR Railfreight, Triple Grey, Class: Class 60, Designer: British Railways, Entered Service: 1993, Minimum Curve: R2, Motor: 5 Pole Skew Wound, Wheel Configuration: Bo-Bo. 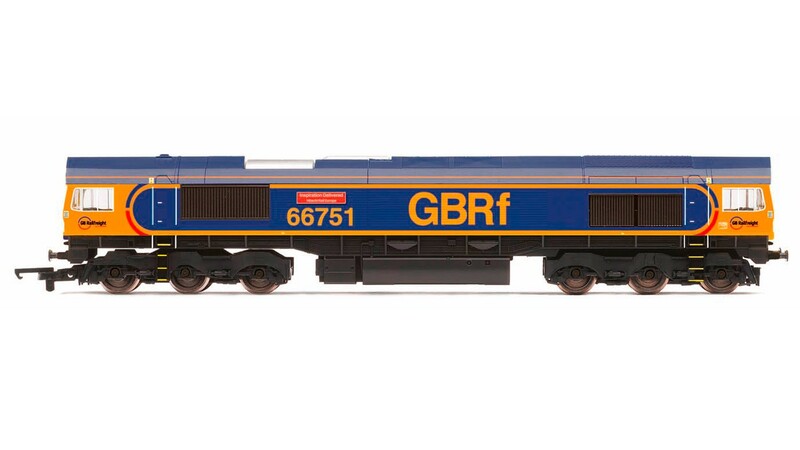 Hornby GBRf, Class 59, Co-Co, 59003 - Era 10. 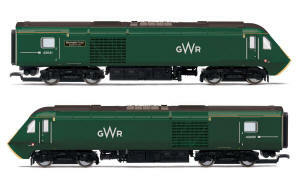 Hornby Arriva Train Wales Bo-Bo Diesel Electric Class 67. 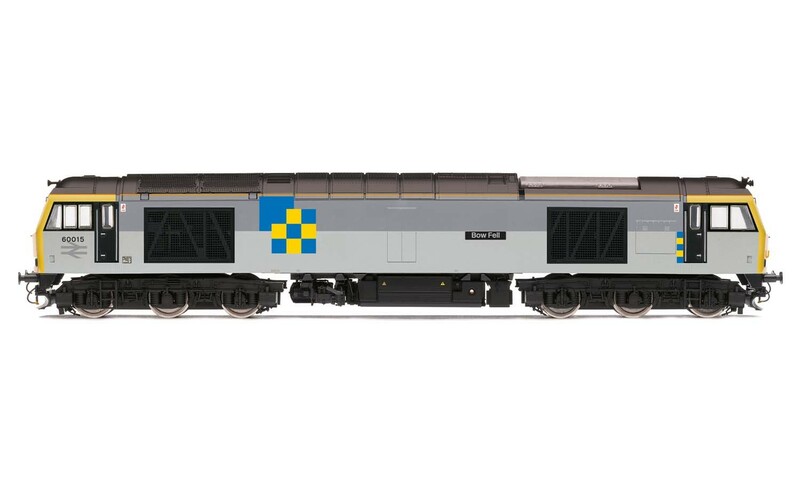 Class: 67, Designer: Alstom Spain, Entered Service: 1999, Number Built: 30, Purpose: Mixed Traffic, Wheel Configuration: Bo-Bo, Dimensions: 259mm, Motor: 5 Pole Skew Wound, DCC Ready: DCC Ready, Livery: Arriva Train Wales, Finish: Pristine. Suitable rolling stock: General rolling stock of the period. Suitable rolling stock: General rolling stock of the period. 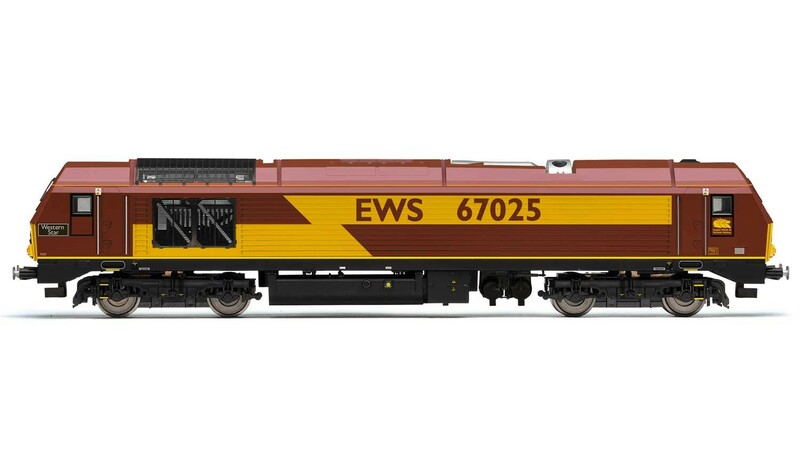 This Model locomotive, 67025 Western Star, was built in Spain during May 2000 and was named on September 28, 2001 and is featured in its current livery of EWS Maroon with a zig-zag gold band, large number and logo. 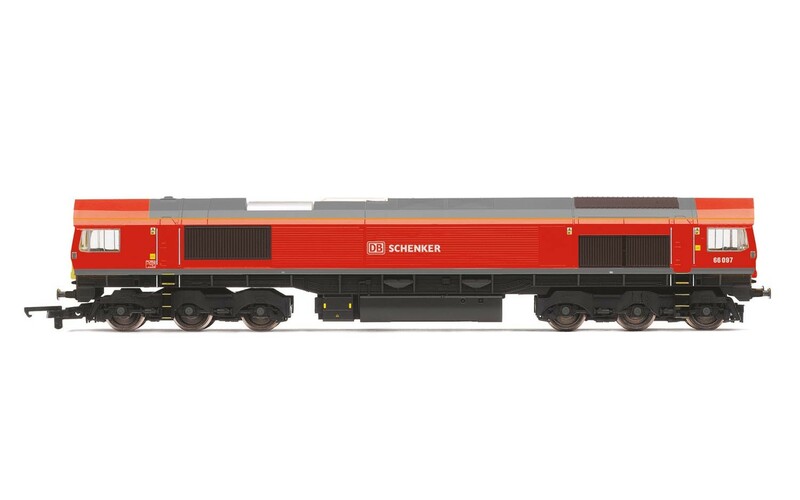 Hornby DB Schenker '67013' Class 67. Gauge: 00, Length: 259mm, DCC Type: DCC Ready, Motor: 5 Pole Skew Wound. 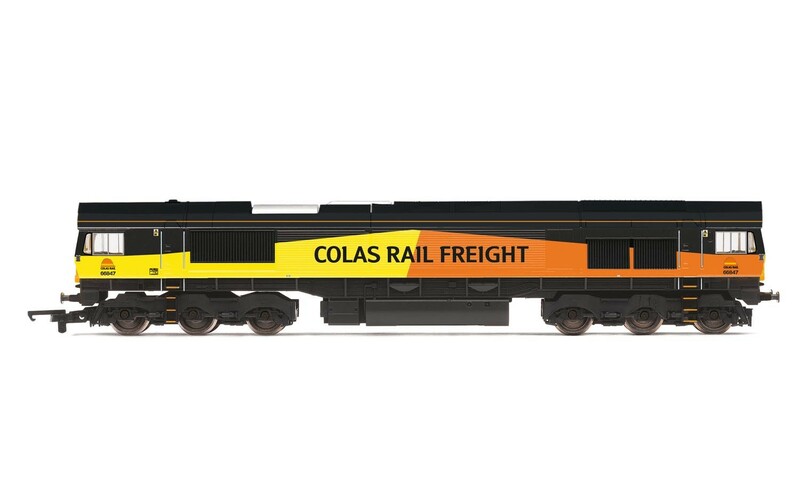 Hornby Colas Rail Freight, Class 67, Bo-Bo, 67027 'Charlotte' - Era 11. 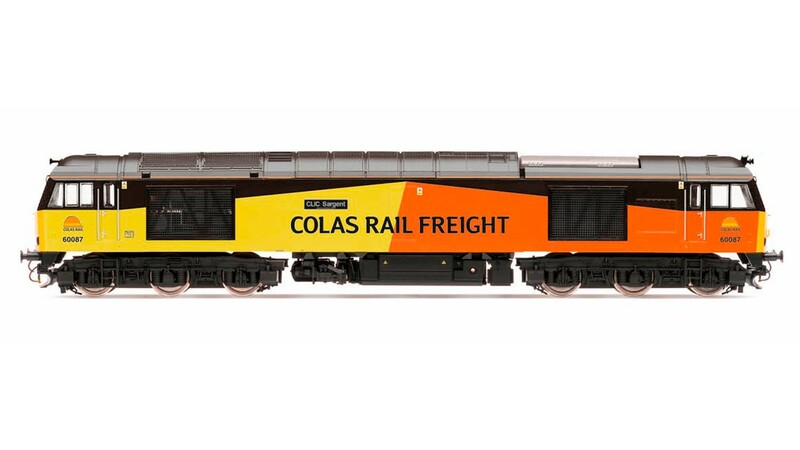 Gauge 00, Length 259mm, DCC Type DCC Ready, Period Era 11 (2014 +), Operator/Livery Colas Rail Freight, Colas Orange & Yellow, Entered Service 2000, Minimum Curve 2nd Radius + (438mm), Age Suitability 14+, Motor 5 Pole Skew Wound, Wheel Configuration Bo-Bo. Hornby DB Cargo UK, Class 67, Bo-Bo, 67024 'Belmond British Pullman' - Era 11. Technical Specification & Detail: - Length: 259mm, DCC Type: DCC Ready, Period: Era 11 (2014 +), Operator/Livery: DB Cargo UK, Pullman Umber/Cream, Class: Class 67, Designer: General Motors, Entered Service: 2000, Minimum Curve: R2, Motor: 5 Pole Skew Wound, Wheel Configuration: Co-Co. 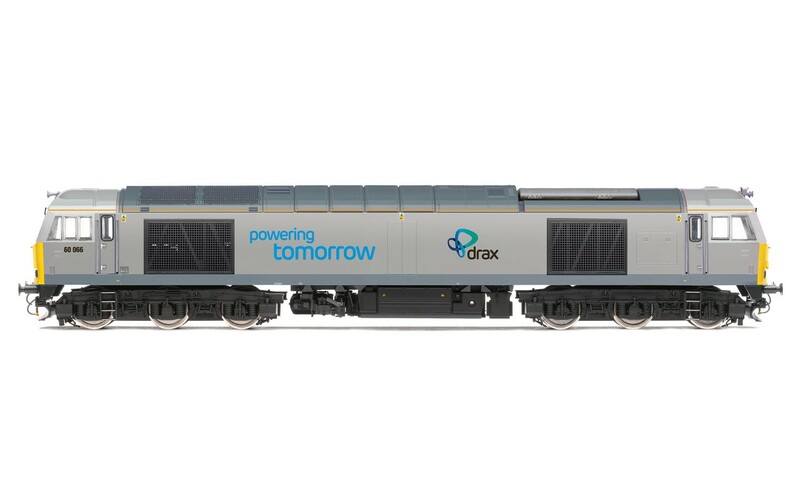 The Class 68 was been developed by DRS to provide a high speed freight and passenger solution to today�s demand for low emissions and efficient transportation. The locomotive offers excellent fuel economy, low emissions. The locomotive has also the necessary electrical installation to provide heating and lighting on passenger services. 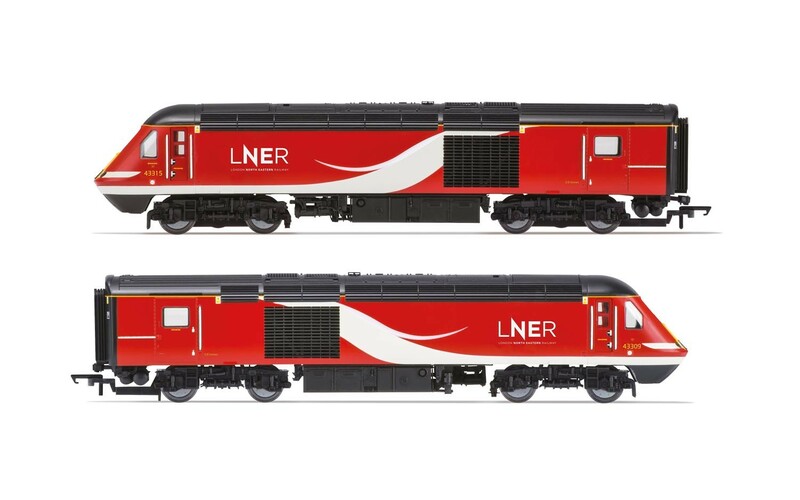 These locomotives are now popular performers throughout much of the UK rail network. 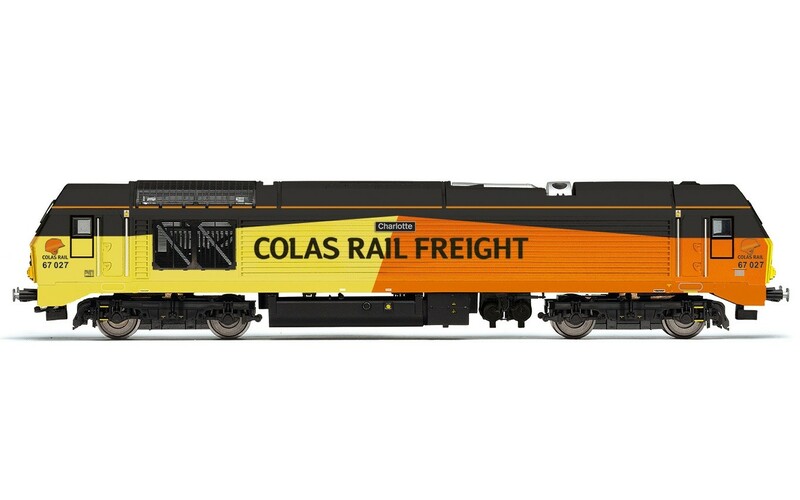 The class 68 is a new style of diesel-electric locomotive commissioned by DRS to haul both intermodal and passenger stock. 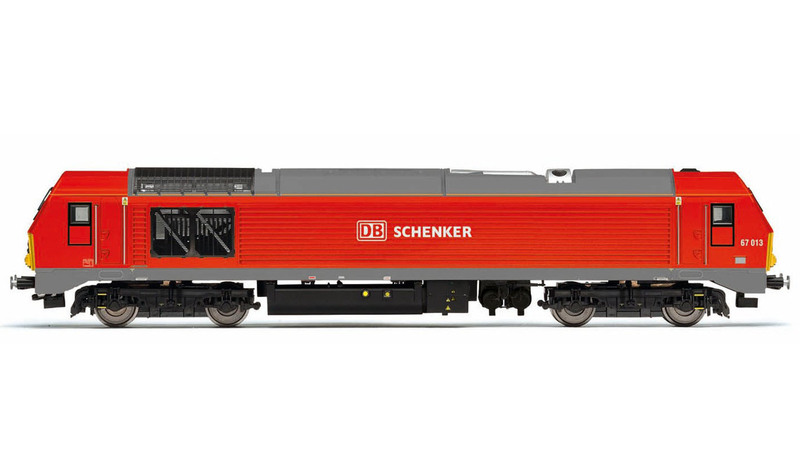 The sleek design is based on the Vossloh Eurolight. 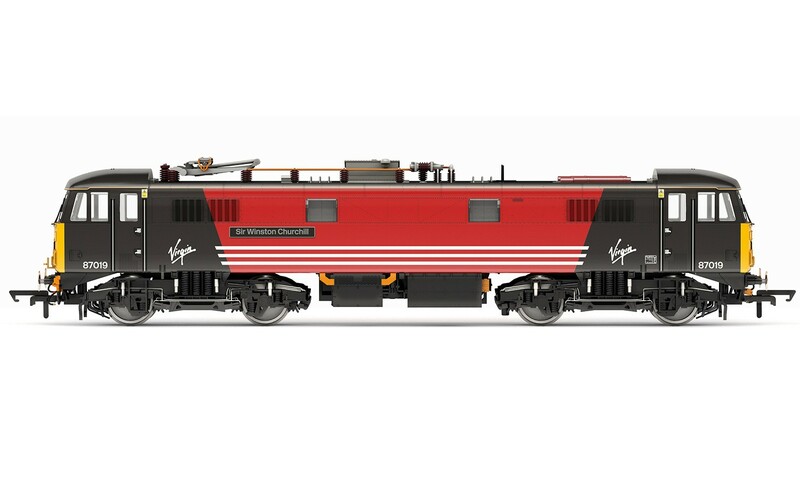 The design meant that these locomotives able able to reach 100mph. Locomotive Details: Class: 68, Era: 10 (2005 Onwards), Wheel Configuration: Bo-Bo, Finish: Pristine. Specifications: Decoder: Installed, Sound: Use Diesel Sound Decoders by Sound Traxx (Speaker Required), Couplings: NEM, Track Supply: 2 Rail DCC. The British Rail Class 71 Electric Locomotive is a Bo-Bo configuration engine which was built at the British Rail Doncaster works between 1958 and 1960, for mixed-traffic service on Southern Region�s Kent Coast Main Line . The Class 71 was only able to work on the third rail power system, which ultimately limited its operational scope for passenger and freight work. Due to safety problems when working in sidings, where coupling and uncoupling necessitated work near the third rail, a pantograph was also fitted to allow overhead power to be used in some yards. Despite this restriction the engines worked high profile routes, notably the Night Ferry and the Golden Arrow. 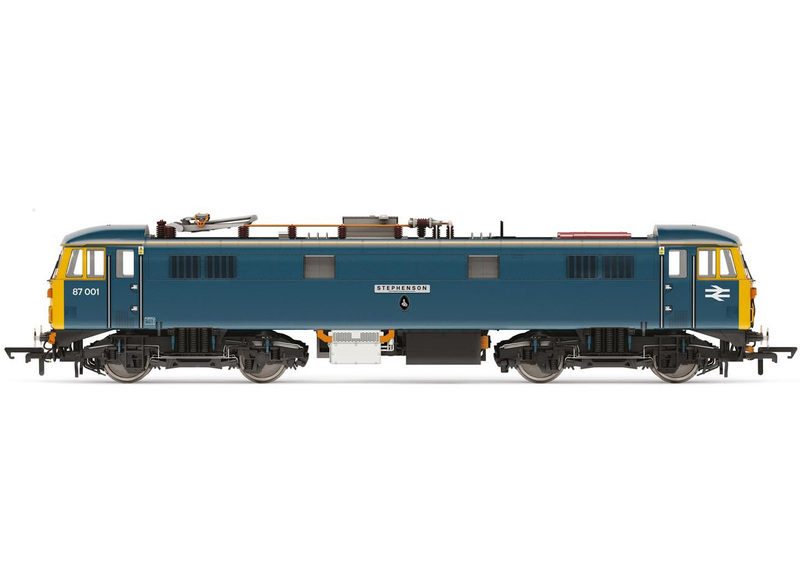 Hornby BR Class 71 '71012' - BR Blue. 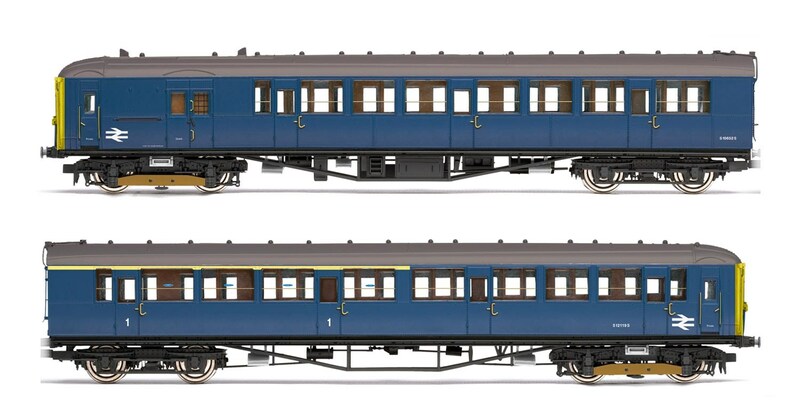 Length: 203mm, Livery: BR Blue, Class: 71, Detail: Double Flywheel Dual Bogie Drive, Motor: 5 Pole Skew Wound. 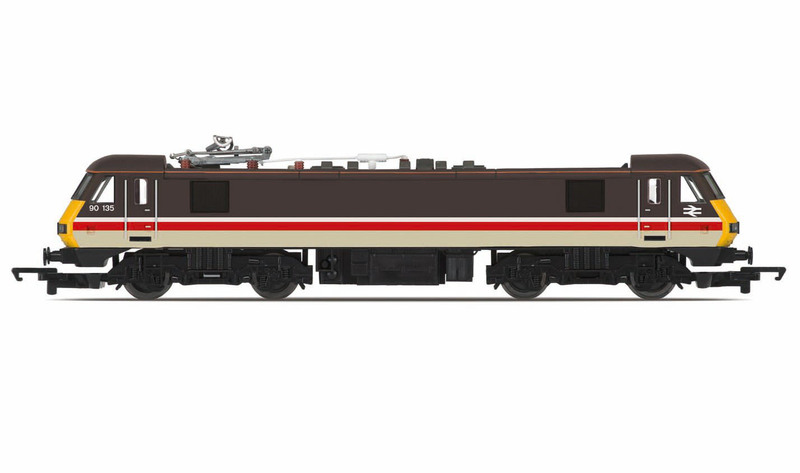 Hornby RailRoad BR Class 73 ' E6002'. Gauge: 00, Length: 215mm, DCC Type: DCC Ready, Motor: 5 Pole Skew Wound. Hornby Class 87 87035 �Robert Burns� BR Rail Blue (Cross Arm Pantograph). 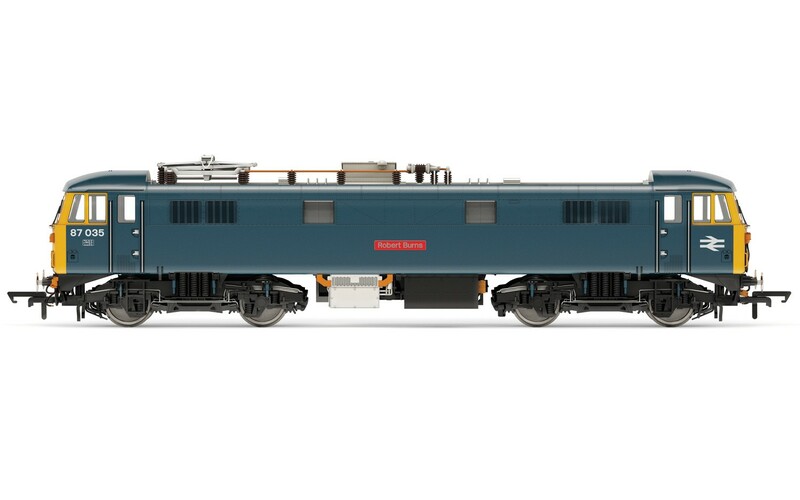 Technical Specification & Detail: Gauge; 00, DCC Type; DCC Ready, Livery; BR Blue, Class; 87, Motor; 5 Pole, Special Features: NEM Couplings, Working head/tail lights. 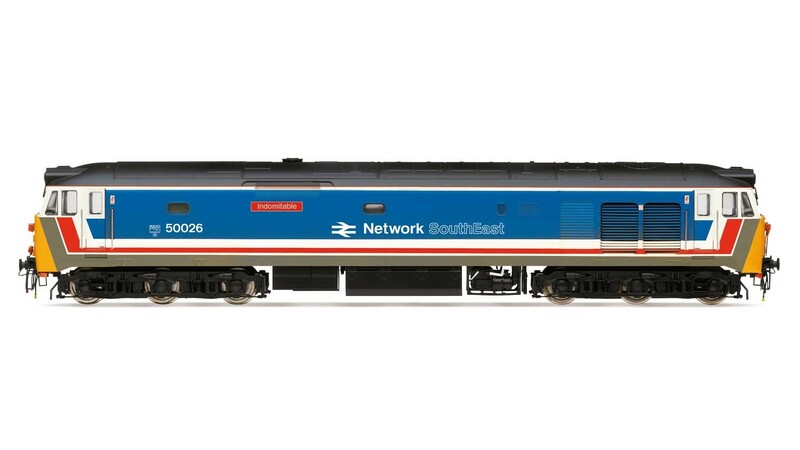 Hornby Class 87 87010 �King Arthur� BR Intercity �Swallow� logo (High Speed Pantograph). 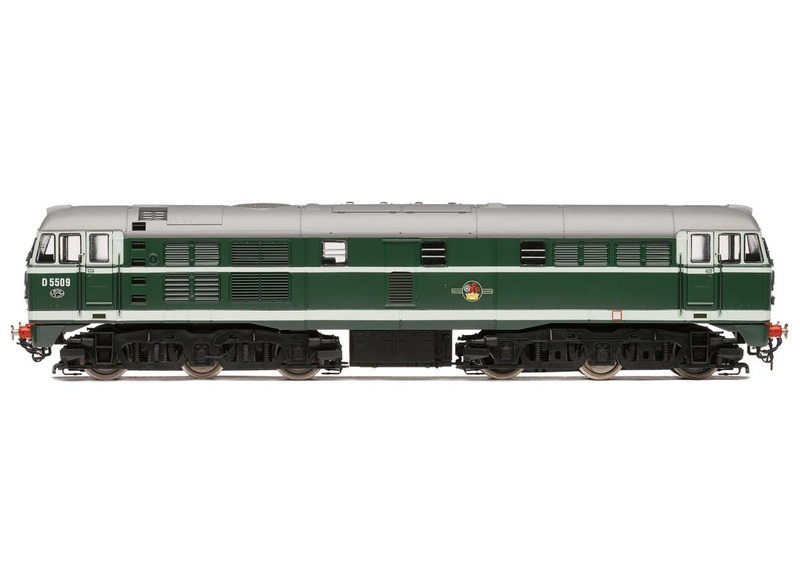 Technical Specification & Detail: Gauge; 00, DCC Type; DCC Ready, Livery; InterCity, Class; 87, Motor; 5 Pole, Special Features: NEM Couplings, Working head/tail lights. Hornby Virgin Trains, Class 87, Bo-Bo, 87019 'Sir Winston Churchill' - Era 9. Gauge 00, Length 243mm, DCC Type DCC Ready, Operator/Livery Virgin Trains, Virgin Red & Blue, Designer British Railways, Entered Service 1974, Minimum Curve 2nd Radius + (438mm), Age Suitability 14+, Motor 5 Pole Skew Wound. Loco Drive, Wheel Configuration Bo-Bo. Hornby BR, Class 87, Bo-Bo, 87001 (dual named) 'Royal Scot' and 'Stephenson' - Era 11. 87001 was built at Crewe, entering traffic on 29 June, 1973 allocated to Willesden depot. The Stephenson Locomotive Society persuaded British Rail to name 87001 as Stephenson to mark the 1975 celebrations of 150 years of railways in the United Kingdom and a naming ceremony was held on 14 January, 1976. 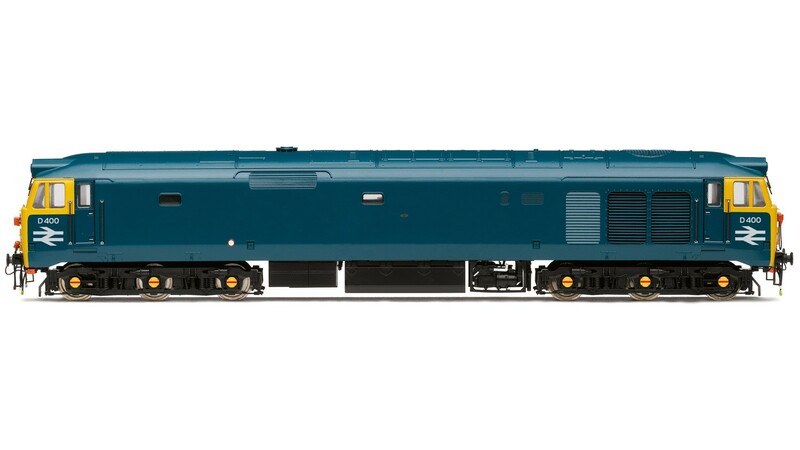 Technical Specification & Detail: - Length: 243mm, DCC Type: DCC Ready, Period: Era 11 (2014 +), Operator/Livery: BR Blue, Class: Class 87, Designer: British Railways, Entered Service: 1973, Minimum Curve: R2, Motor: 5 Pole Skew Wound, Wheel Configuration: Bo-Bo. 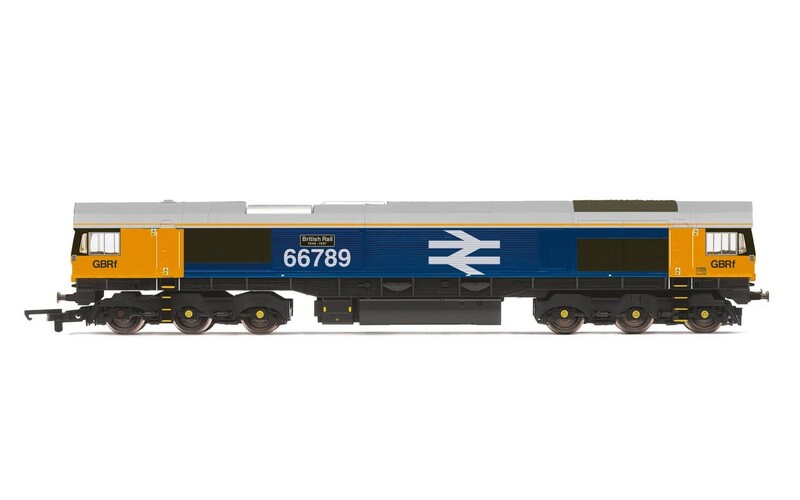 Hornby Caledonian Sleeper, Class 87, Bo-Bo, 87002 'Royal Sovereign' - Era 10. 87002 was built at Crewe, entering traffic on 29 June, 1973 allocated to Willesden depot. Named as Royal Sovereign on 4 July, 1978, the name was removed when the locomotive was repainted into Porterbrook Leasing. 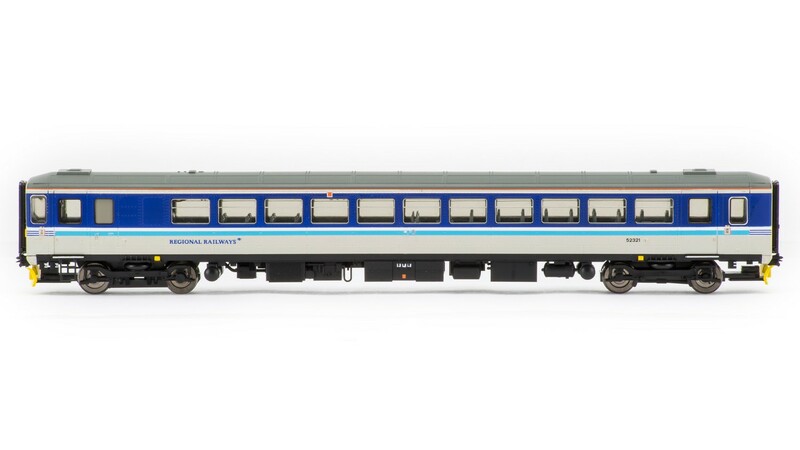 Technical Specification & Detail: - Length: 243mm, DCC Type: DCC Ready, Period: Era 10 (2006 - 2017), Operator/Livery: Caledonian Sleeper, Midnight Teal, Class: Class 87, Entered Service: 1974, Minimum Curve: R2, Motor: 5 Pole Skew Wound, Wheel Configuration: Bo-Bo. 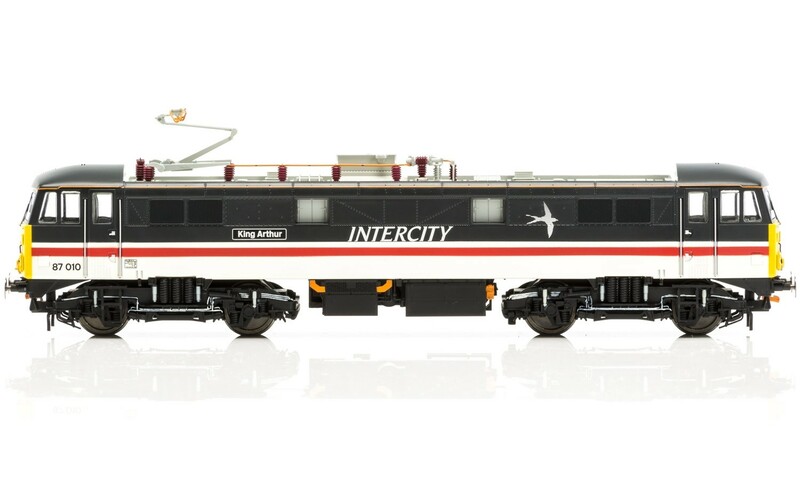 Hornby Railroad BR Intercity '90135' Bo-Bo Class 90. Gauge: 00, Length: 245mm, DCC Type: DCC Ready, Motor: 5 Pole Skew Wound. Minimum Curve: Hornby 2nd radius + / 438mm+. Length: 280mm, Livery: EWS, Period: Current, Built: British Traction Loughborough 1993, Number Built: 46, Purpose: Freight and Channel Tunnel Workings, Special Features: Sprung Buffers, Extensive Detail, All-wheel pickups, Directional lighting, Working head/tail lights, Non-working Pantograph. 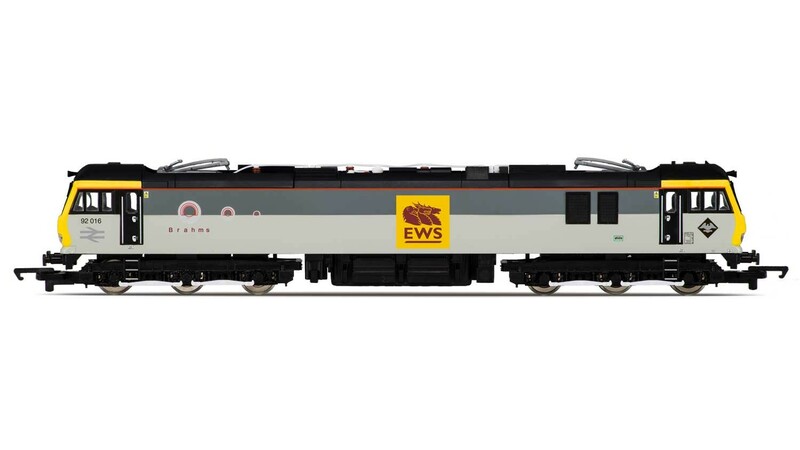 This model shows 92016 in its former EWS livery, carrying the name Brahms. Built in September 1994, the locomotive is currently based at Crewe International Electric T&RSMD. Hornby Caledonian Sleeper, Class 92, Co-Co, 92023 - Era 10. Technical Specification & Detail: - Length: 280mm, DCC Type: DCC Ready, Period: Era 10 (2006 - 2017), Operator/Livery: Caledonian Sleeper, Midnight Teal, Class: Class 92, Designer: Brush Traction, Entered Service: 1995, Minimum Curve: R2, Motor: 5 Pole Skew Wound, Wheel Configuration: Co-Co.
Hornby GBRf Europorte, Class 92, Co-Co, 92043 'Debussy' - Era 11. 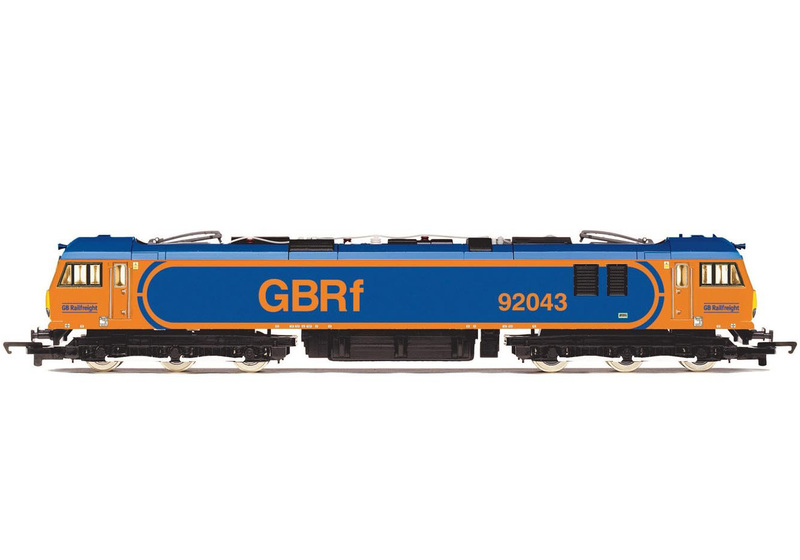 Technical Specification & Detail: - Length: 280mm, DCC Type: DCC Ready, Period: Era 10 (2006 - 2017), Operator/Livery: GBRf, Blue/Yellow, Class: Class 92, Designer: Brush Traction, Entered Service: 1996, Minimum Curve: R2, Motor: 5 Pole Skew Wound, Wheel Configuration: Co-Co.
Hornby DB Cargo Romania, Class 92, Co-Co, 91 53 0 472 001-3 �Mihai Eminescu� - Era 10. 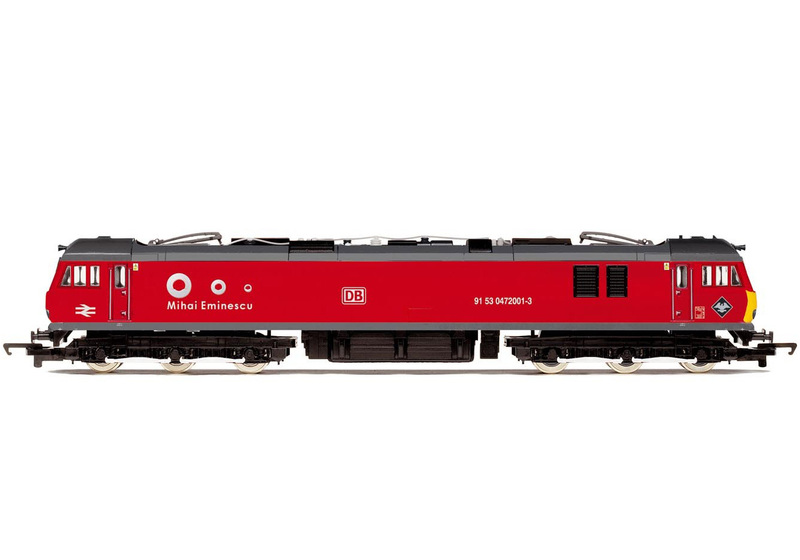 Technical Specification & Detail: - Length: 280mm, DCC Type: DCC Ready, Period: Era 10 (2006 - 2017), Operator/Livery: DB Cargo Romania, Cherry Red, Limited Edition: Yes, Limited Edition Size: 500, Class: Class 92, Designer: Brush Traction, Entered Service: 1994, Minimum Curve: R2, Motor: 5 Pole Skew Wound, Wheel Configuration: Co-Co.
Hornby Chiltern, Class 121, Driving Motor Brake Second, 121034 - Era 10. 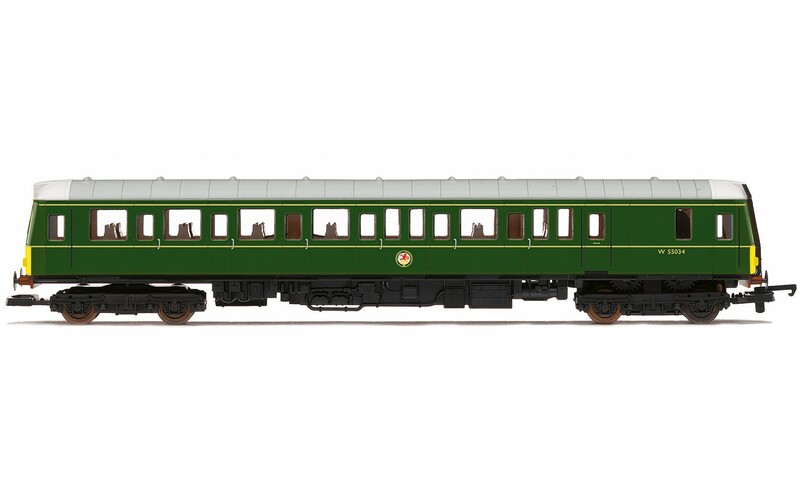 Gauge 00, Length 265mm, DCC Type DCC Ready, Period Era 10 (2006 - 2017), Operator/Livery BR Coaching Stock Green/Chiltern, Designer British Railways, Entered Service 1960, Minimum Curve 1st Radius + (371mm), Age Suitability 3+, Motor 5 Pole Skew Wound. 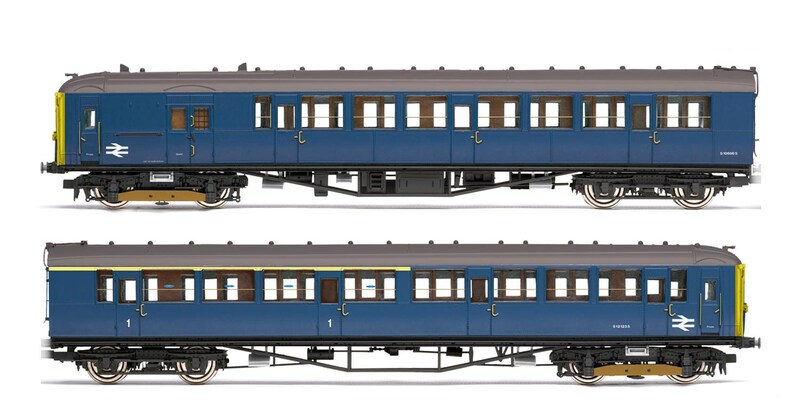 Heljan Class 128 in early BR blue livery with white cab roof domes and yellow gangway door covers. DCC Ready. Fitted with a 21 pin decoder socket. This model requires a 21 pin decoder. OO Gauge. 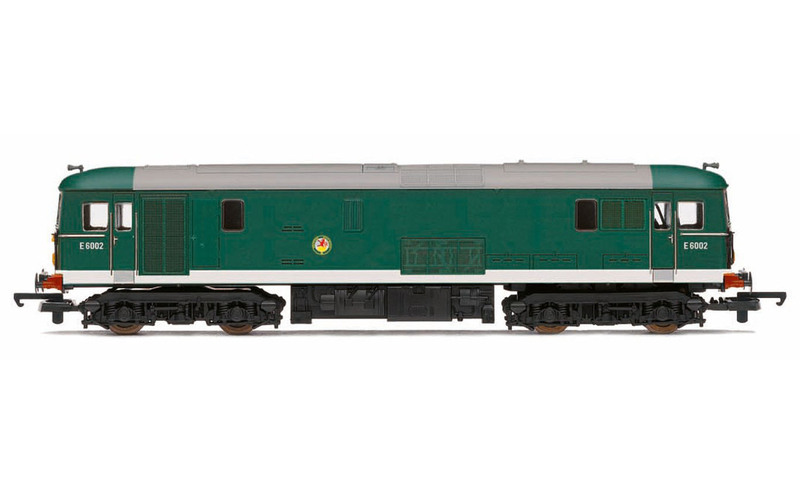 Heljan Class 128 in BR Green DPU SW livery. DCC Ready. Fitted with a 21 pin decoder socket. This model requires a 21 pin decoder. OO Gauge. Heljan Class 128 in BR Blue DPU (with Full Yellow Ends) livery. DCC Ready. Fitted with a 21 pin decoder socket. This model requires a 21 pin decoder. OO Gauge. Hornby East Midlands Class 153 '153379'. Gauge: 00, Length: 310mm, DCC Type: DCC Ready, Motor: 5 Pole Skew Wound.. Minimum Curve: Hornby 2nd radius + / 438mm+. 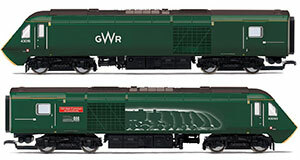 Hornby GWR Class 153, DMSL, 153368 - Era 10. Gauge: 00, Length: 310mm, DCC Type: DCC Ready, Motor: 5 Pole Skew Wound.. Minimum Curve: Hornby 2nd radius + / 438mm+. Hornby Northern Rail, Class 156, Set 156480, DMS No. 57480 and DMSL No. 52480, 'Spirit of the Royal Air Force' - Era 11. Eurostar Class 373 2013 4 Car Train Pack. 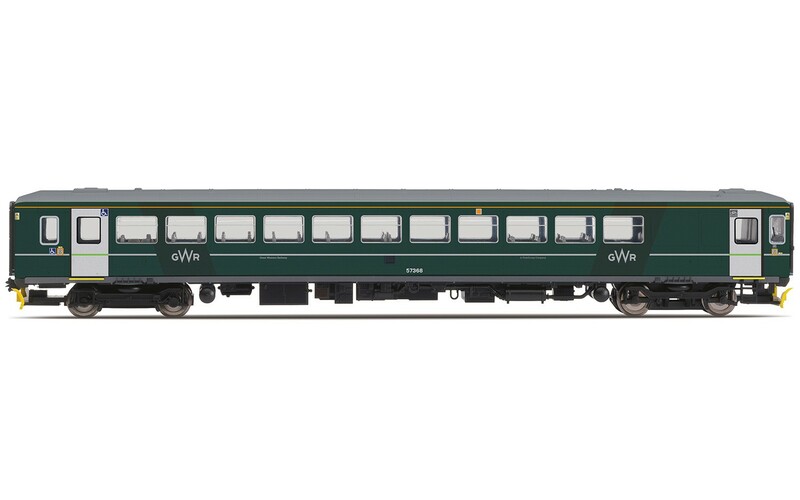 Technical Specification & Detail: - DCC Type: DCC Ready, Operator/Livery: Eurostar, Class: 373, Entered Service: 1993, Minimum Curve: 2nd Radius + (438mm), Detail: Pantograph (Non-functional), Motor: 3 Pole Skew Wound, Purpose: Passenger. Hornby SR, 2-BIL, Unit 2152; DMBT(L) No. 10718 and DTC(L) No. 12185 - Era 3. 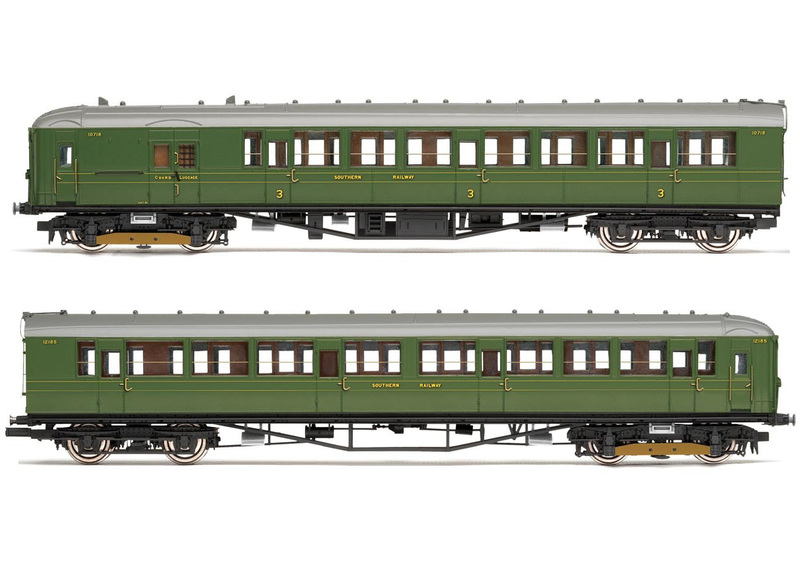 Technical Specification & Detail: - Length: 2 x 264mm, DCC Type: DCC Ready, Period: Era 3 (1923 - 1947), Operator/Livery: SR, Olive, Designer: Richard Maunsell, Entered Service: 1937, Minimum Curve: R2, Motor: 5 Pole Skew Wound, Wheel Configuration: Bo-Bo. 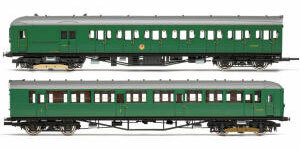 Hornby BR 2-HAL 2 Car Electric Multiple Unit Train Pack. 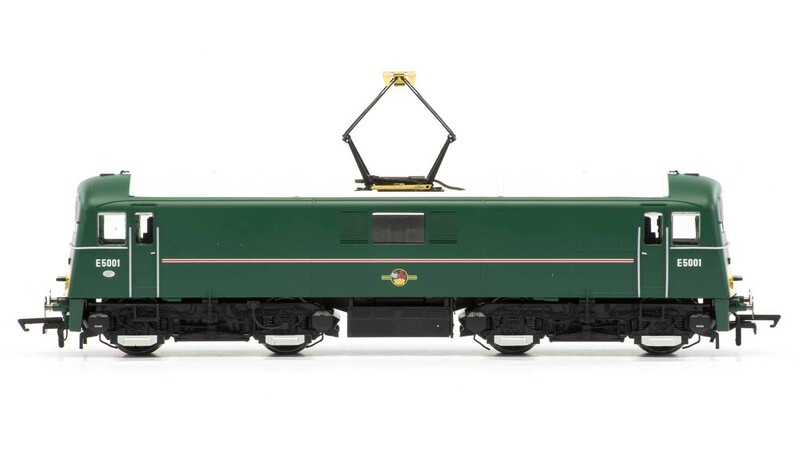 Class: 2-HAL, Designer: Eastleigh Works, Entered Service: 1938, Number Built: 100, Purpose: Passenger, Dimensions: 510mm, Motor: 5 Pole Skew Wound, DCC Ready: DCC Ready, Livery: BR, Detail: Chassis and Bogie Detail, Finish: Pristine. Special Features: Sprung Buffers. 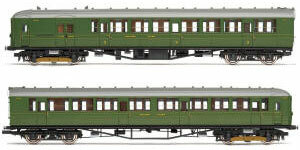 Hornby BR, 2-HIL, Unit 2611; (HAL) DMBT No. 10729 and (BIL) DTC(L) No. 12146 - Era 5. 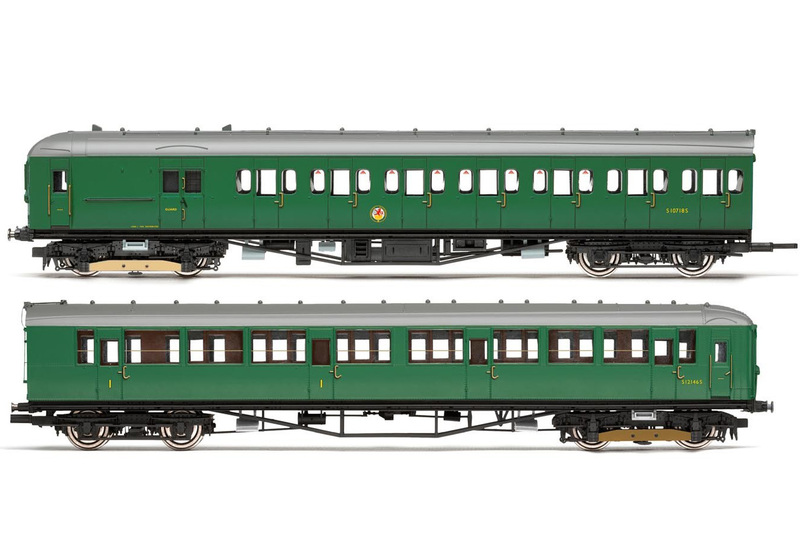 Technical Specification & Detail: - Length: 2 x 264mm, DCC Type: DCC Ready, Period: Era 5 (1956 - 1968), Operator/Livery: BR, BR(S) Green, Class: 2-HIL, Designer: OVS Bulleid, Entered Service: 1939, Minimum Curve: R2, Motor: 5 Pole Skew Wound, Wheel Configuration: Bo-Bo. Hornby Brighton Belle' Train Pack - Era 6. Gauge 00, DCC Type DCC Ready, Operator/Livery Pullman Umber and Cream, Early Crest, with Yellow Warning Panel, Age Suitability 14+, Motor 5 Pole Skew Wound. Loco Drive. 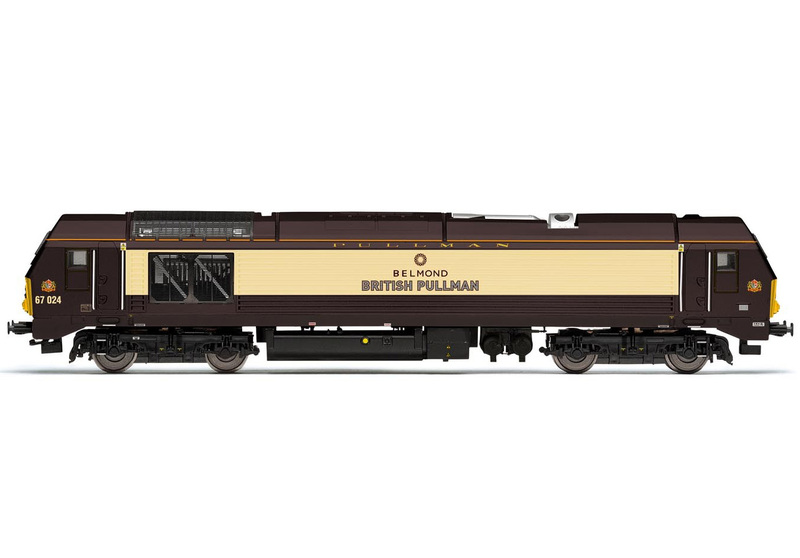 Contents: � Pullman, 5-BEL 'Brighton Belle', Unit No. 3053, Driving Motor Brake Parlour Third, Car No. 92 - Era 4, � Pullman, 5-BEL 'Brighton Belle', Unit No. 3053, Driving Motor Brake Parlour Third, Car No. 93 - Era 4. Special Features: Directional Lighted Headcodes, Illuminated Table Lamps, NEM Couplings. Please Note that R3606 and R4871 are not interchangeable with earlier versions of the Brighton Belle. 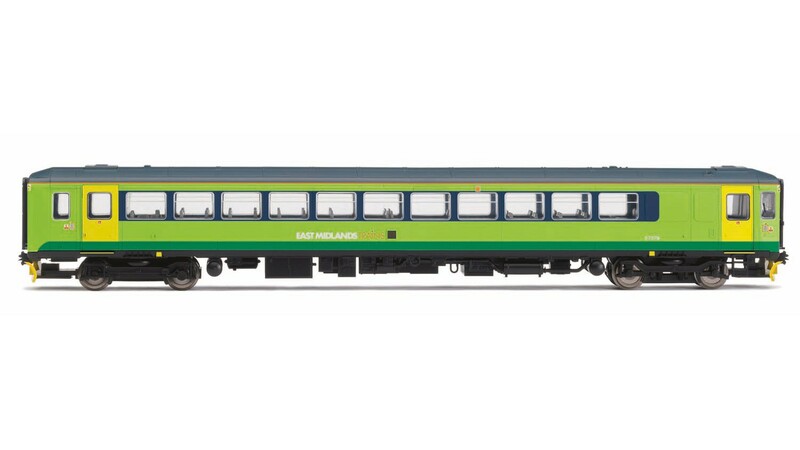 To facilitate easy assembly of the 5 car rake, all cars are now fitted with standard NEM pockets, and a choice of two Coupling types are included to suite the coupling gap required. Power for the lighting PCB�s is now collected via pick-ups located on one Bogie of each car. 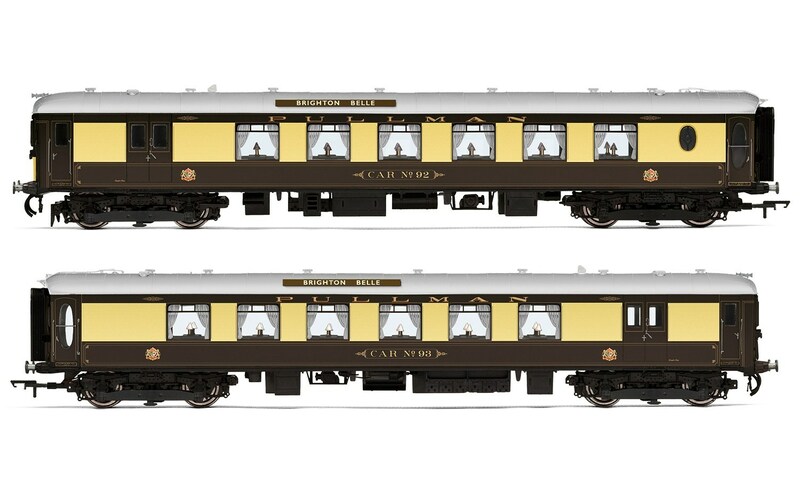 The stunningly elegant Hornby model initially produced in two distinctive livery periods captures perfectly the opulence and style of the Brighton Belle Pullman. Each Car is lit and complete with detailed interior. 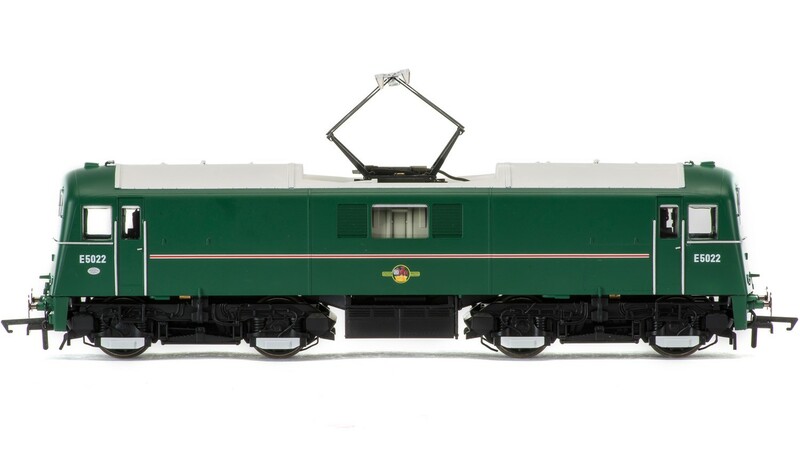 Contains: Drive Motor Brake 3rd (Powered), Drive Motor Brake 3rd, Entered Service: 1967, Motor: 5 Pole Skew Wound, DCC Ready: DCC Ready, Finish: Pristine, Special Features: Extensive Detail. Note: This model has been opened and tested. It should be also noted that by design the brightness of the window lights vary.